You can define up to two Colums in a Backstage - Tab "Container". Between the Columns Tag you can define how to use the content. In firstColumn one taskFormGroup or one or more taskGroup or Backstage - group can be defined. 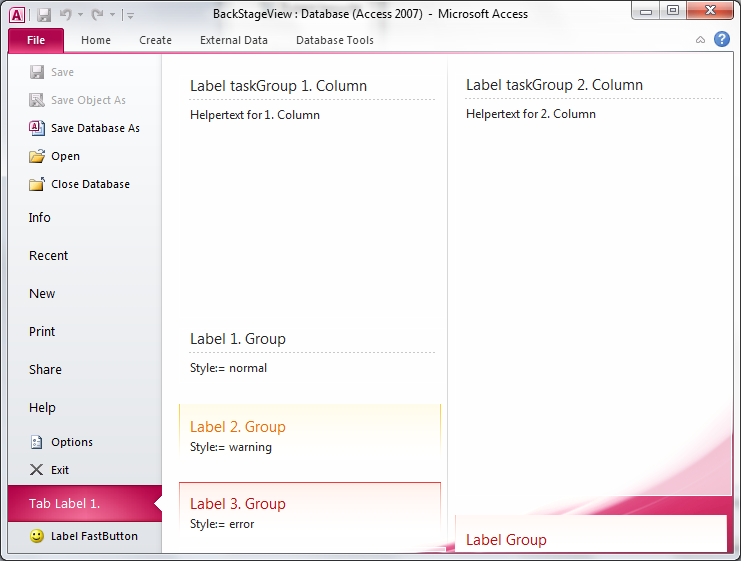 In secondColumn one or more taskGroup or Backstage - group can be defined.